Nico works as an energy efficiency engineer with UC Davis. 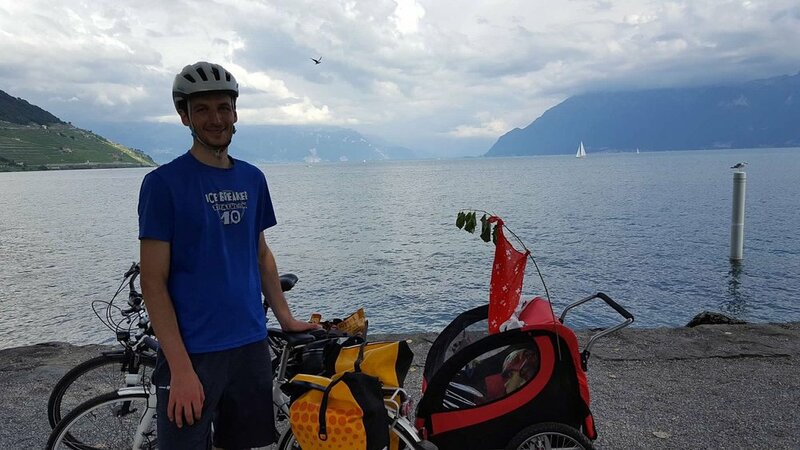 He has been biking since his teenage years in the streets of Paris, and later in San Francisco, where he was also actively engaged with the SF Bicycle Coalition. His vehicle of choice is his Nihola cargo tricycle, which he rides all over Davis, often carrying his delighted 2-year old son in it. Steve grew up in a thinly populated desert valley, where kids could connect with each other only by begging an adult for a ride, or learning to ride a bike. 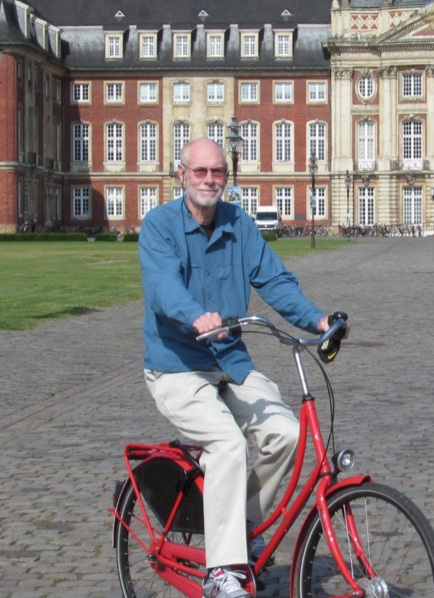 Steve’s adult career has included consulting on improved street designs that give a priority to pedestrians and cyclists, working all over California, some other communities in the US, and developing tours for American practitioners to see the best streets in Europe. Almost all of Steve's daily travel in Davis is still by bike: hauling grandkids, paving stones, and groceries in a variety of trailers. Steve is the last of the founding members of Bike Davis still on the Board. Diane moved to Davis in 1974 and adopted cycling as her primary mode of transportation. She has commuted regularly to her work in Davis, Woodland and Sacramento. She and her husband, John, own an electric bicycle business and co-founded the Bak2Sac program. She wants to improve bicycle infrastructure, but at the same time create a cycling culture such that people ride regardless of infrastructure inadequacies. She and John were awarded the 2017 California Bicycle Coalition’s Bicycle Dreamer Award for advancing the dream that all Californians be able to ride bicycles safely and conveniently wherever they wish to go. Sanne grew up in Denmark, where biking to school is the most natural thing to do. She grew up on bikes and horses. She has worked in Switzerland, where biking to work was the thing to do, and lived on the east coast for 12 years. 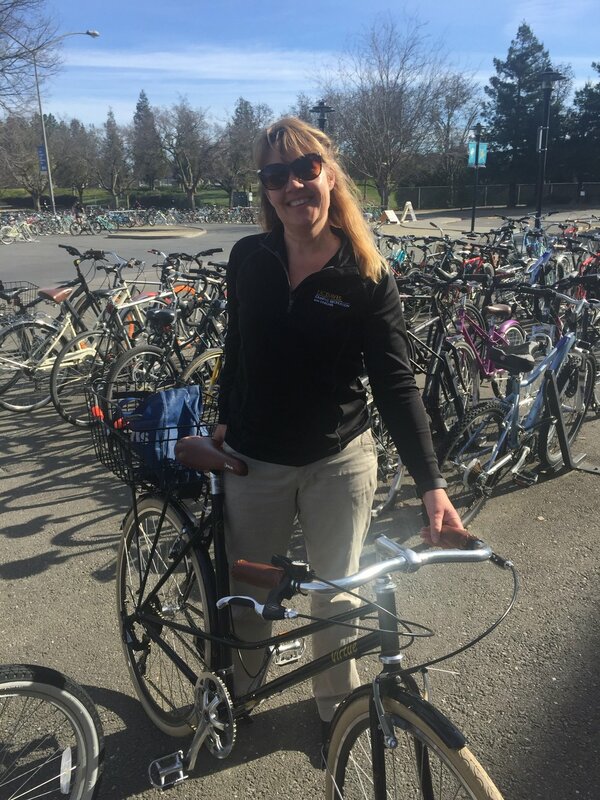 She is happy to be in Davis since 2004 and biking every day! Sanne started the Scan and Notify program in the Davis school district at Birch Lane Elementary, working with its creator Tim Starback. She continues to enjoy promoting active transportation for all age groups. Happy biking. 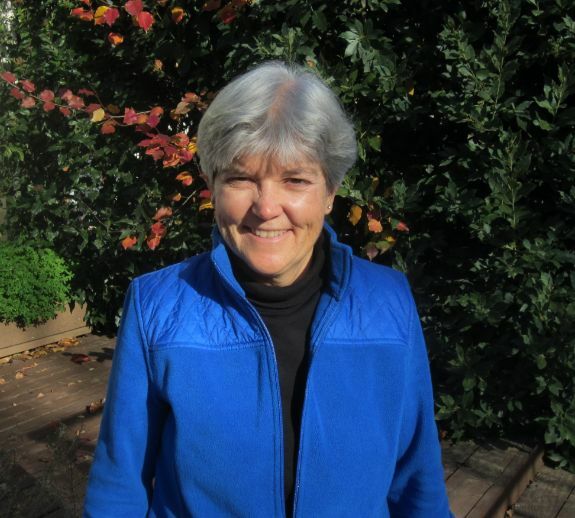 Dr. Susan Handy is a Professor in the Department of Environmental Science and Policy and the Director of the National Center for Sustainable Transportation at the University of California, Davis. 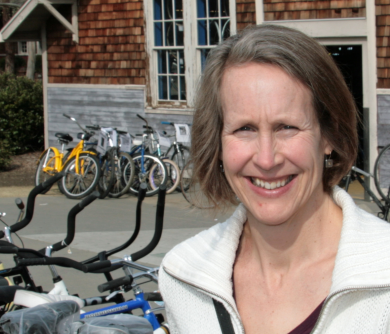 Her current research focuses on bicycling as a mode of transportation and on strategies for reducing automobile dependence. She has lived in Davis with her family for 16 years and is happy to be able to commute by bicycle every day. Her interest in bicycling dates back to her childhood in another California platinum-level bicycle-friendly community that doesn’t compare to Davis.